I was reading the articles on Reddit earlier today and somebody asked for an OPML file containing the feeds to some good Linux blogs. To be able to use the OPML file you will need to use an RSS reader that can handle OPML files. 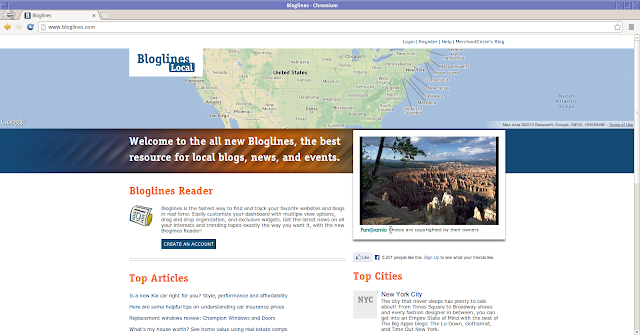 The one that I used was a web based reader called Bloglines.To use bloglines go to www.bloglines.com and click the create an account link. Fill in the form with account details and confirm your email address by clicking on the link in the email that you receive. When you log in to bloglines click the add a feed link. Click on this link which takes you to Rapidshare and download the file. 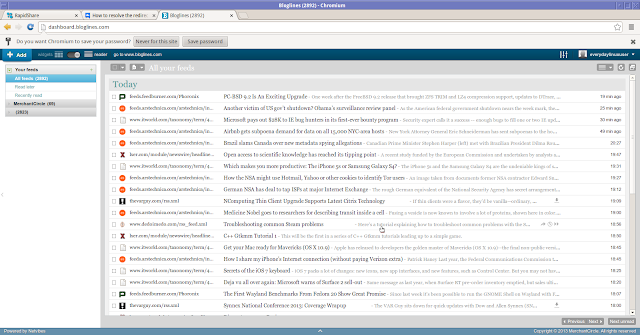 Now within Bloglines click the browse button and find the file that you just downloaded. A list of articles will appear in date order from the feeds listed above. More based around Ubuntu, but OMGUbuntu! and Webupd8 are both excellent Linux news blogs. Even though they're mainly focused about Ubuntu some of the information does apply to other distros and Linux as a whole. Hi, thanks for mentioning this. I will upload the file again and change the link.